Manitoba Music will be closed April 19-22. Sean joined Manitoba Music in 2002 as the first training coordinator and returned in 2007 after a stint in Toronto. He is a graduate of Brandon University School of Music and has a Masters degree in Musicology/Ethnomusicology from York University. Sean has taught music and theatre, and toured with the folk band the Dust Poets for 10 years. 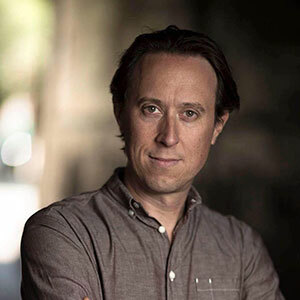 At Manitoba Music, Sean developed training programs, expanded international export and market development, and created business development programs. He sits on several local and national creative industry boards and advisory committees. 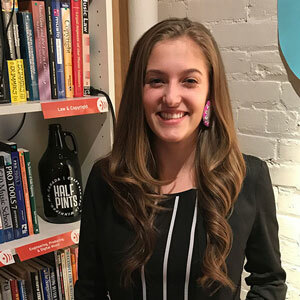 Ashley Bieniarz joined the team full-time in 2019 as administrative assistant after some time with us in 2018 as a summer student. She has been involved in the local music scene since 2015 as an avant-pop artist. 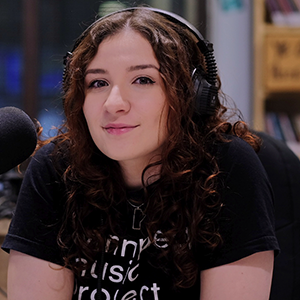 While completing her Bachelor of Music in classical piano at the University of Manitoba, she created and continues to host the campus radio show and podcast the Winnipeg Music Project. Through Creative Manitoba’s Youth Mentorship Program, Ashley interned at BreakOut West in 2016 and is currently working with local singer/songwriter Jaylene Johnson. She has also been a volunteer with Manitoba Music for the past couple years. You’ll find her at the front desk during regular office hours. Claire Boning joined the Manitoba Music team in 2016 as program assistant and is now our membership and events coordinator. She'll be working in members services and running logistics on many of Manitoba Music’s events. She brings with her years of experience doing clerical, reception, and administrative work with Winnipeg companies, including two law firms. 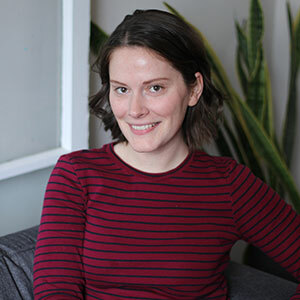 Talk to Claire about joining Manitoba Music or renewing your membership, New Music Night, if you need some help with your online profile, and whenever you’re not quite sure who you should be connecting with. 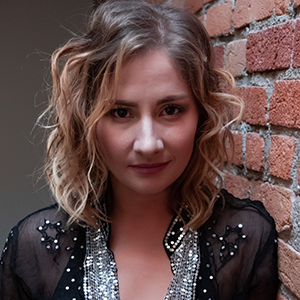 Elise Roller has been actively involved in the Canadian music scene for nearly a decade, first beginning in Alberta with her solo project, then joining touring rock outfit Go For The Eyes. She began working in artist management while living in Calgary, and moved to Manitoba in 2015 to become part of its thriving music scene. Roller has booked shows and been the tour manager for a number of Canadian acts for the past seven years, and fronted the heavy metal grunge band, Solhounds from 2016-2018. She now serves as the Industry Development Coordinator at Manitoba Music, connecting artists and industry on an international scale. She has been the main stage producer for PRIDE Winnipeg since 2016 and, in addition to her plethora of industry experience, she can now be found locked away in her home writing love ballads for lonely hearts. Talk to Elise about one-on-one consults about your music career, if you have questions about music business, export-readyness, MusicWorks workshops, January Music Meeting, and more. Ila will be taking on the Indigenous Music Development Program Coordinator position while Shaneen Robinson-Desjarlais is on mat leave. Barker has been a mainstay on the local scene, gaining attention as a singer/songwriter after winning the NCI Jam in 2011, charting on the Indigenous Music Countdown, and hitting festival stages and venues around Manitoba and across the country. 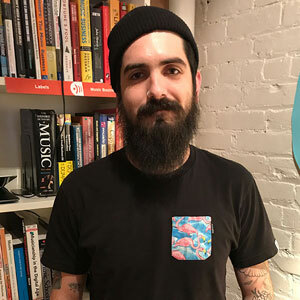 Barker is a recent graduate of the University of Winnipeg with a Bachelor of Arts Degree in Conflict Resolution, and has gained a variety of experience in the creative industries in recent years. Talk to Ila about Indigenous Music Development Program projects, Market Builder, and the Indigenous Music Residency. Jacques joined Manitoba Music in 2018. Richer is no stranger to the local music scene. He’s been playing music locally for two decades, currently as a member of punk rock outfit, Screaming at Traffic, which was recently signed to UK indie label Little Rocket Records. He has spent time booking shows, DIY tours, and press for bands from all over North America. He’s also built up his marketing and admin chops, most recently at a law office. Talk to Jacques about the Francophone Music Program projects, Rame à la recontre, and the Francophone music communities in Western Canada. Jade joined the team in 2019 to coordinate our Indigenous Music Export Program. Jade brings with her several years’ experience in program development and event management with specialized skills in the areas of communications, community mobilization, engagement, and marketing. As a Cree and Anishinaabe woman originally from Peguis First Nations (Treaty 1), Jade incorporates her ancestral culture into her work to ensure that the processes she facilitates are celebratory and respectful of Indigenous communities and peoples. She has been a longtime volunteer with the Indigenous Music Awards and in the recent years was employed as the Red Carpet Coordinator. Jade has dedicated both her professional and community life to supporting the success and wellbeing of Indigenous peoples and as such has worked at the local, provincial, national and international levels on issues such as education, youth capacity development, health and wellness, and violence and sexual exploitation of Indigenous women and girls. She is also an emcee, keynote speaker and facilitator, hand drummer, and traditional singer. The Indigenous Music Export Program is a new program for Manitoba Music. Funded by the Government of Canada, the program goal is to deliver compelling and relevant programs to First Nation, Metis, and Inuit artist entrepreneurs and industry across western Canada to strengthen connections and generate opportunities for business capacity and export. 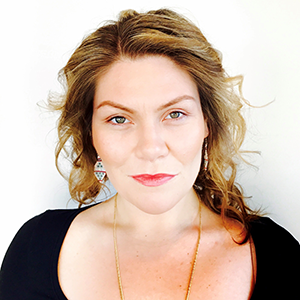 Talk to Jade about the Indigenous Music Export Program projects and Indigenous music communities in Western Canada. Rachel has been involved in Manitoba’s music industry in one way, shape or form for over 25 years. 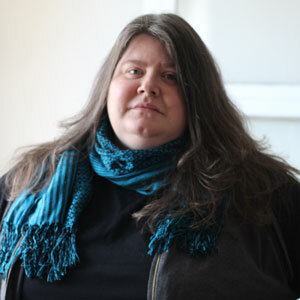 She has worked at Manitoba Music in communications and membership under different titles since 2002, and participated in a number of marketing committees, including BreakOut West, JUNO Host Committee, and 2017 Canada Games. Rachel previously worked at Stylus Magazine, West End Cultural Centre, Uptown Magazine, Ms. Purdy's, and volunteered at CKUW 95.9 FM, Winnipeg Folk Festival, and more. Talk to Rachel about partnership opportunities, media inquiries, internships, membership, websites, communications and publicity, social media and digital advertising, the Song of the Week, streaming playlists, music news, marketing, general operations, and houseplants. Shaneen is a multi-award-winning journalist who’s been on Canada’s media scene for more than 15 years. She’s also a proud wife, mother, and foster mother. She worked at CTV News Winnipeg and her stories have aired on CTV Newsnet/News Channel, CTV National News, and CNN. She also worked many years as a correspondent at APTN National News and garnered attention for her award-winning series about The Sacred Sundance. She is very proud of her latest work, Breaching the Sacred—a 22-minute piece showcasing the tragic reality of Indigenous women living with addictions and using while pregnant. Shaneen is well known across the country and abroad and is dedicated to promoting up and coming Indigenous talent. She was honoured to win first place for the Canadian Aboriginal Writing Challenge in 2008 for her play, Notay Kiskintamowin “Wanting to Know”, the same year she was named a National Aboriginal Role Model by the Governor General of Canada and graduated from the University of Winnipeg. 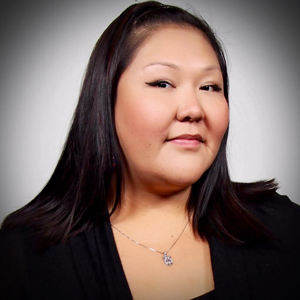 A highly sought-after master of ceremonies, event planner, promoter and speaker, Shaneen aspires to continue working with Indigenous Elders, youth, women, and artists and continue to share information that should be of importance to all Canadians. Talk to Shaneen about Indigenous Music Development Program projects, Market Builder, and the Indigenous Music Residency.